A common place for a leak to occur is at a downspout. 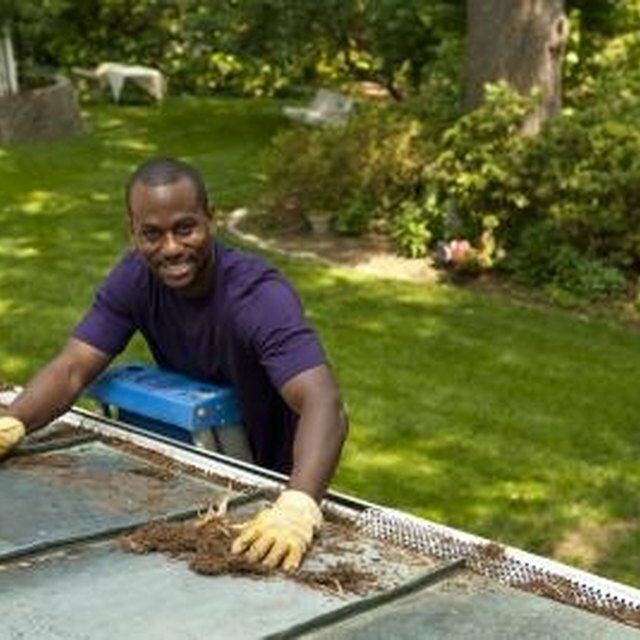 Connected to the home gutter system, the downspouts take water that flows from the roof and run it down and away from your home. If a downspout is leaking it can have an impact on the entire house, including its structural integrity. Water can leak into the house and cause damage to the foundation and the interior of your home. Fixing a leaky downspout is essential to help protect your home from the outdoor elements. Downspouts are an important part of any home. Position a ladder under the downspout and climb up the ladder. Locate where the leak on the downspout is coming from and remove the sections of downspout near the leak. Unscrew and loosen all the screws holding the sections in place with a power drill. Clean off the edges of the downspouts and other pieces you removed with a clean rag. Wipe down the areas thoroughly and remove any adhesive that was holding the pieces together. Wash out any dirt and other debris with a garden hose. Brush out the caulk that still remains with a stiff wire brush. Place a tube of silicone into a caulk gun. Set it in place and cut off the tip of the nozzle at a slight angle with a utility knife. Place the caulk gun along the piece of downspout still attached and run a bead of silicone around the entire outside 2-inches from the edge, to create a seal when fitted back together. Slide the old leaking piece you removed, over the section you where applied caulk and then push it into place. Run your hands over the surface and press down firmly so the silicone adheres to the interior of the downspout. Insert four 1/2-inch gutters screws spaced out evenly around the outside of the two pieces where they overlap. Connect the two pieces together with a power drill. Grip the downspout with both hands and verify everything is secure and properly connected together. Always be careful when working on a ladder.